We’d love your help. 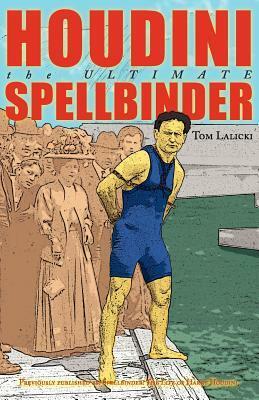 Let us know what’s wrong with this preview of Houdini by Tom Lalicki. To ask other readers questions about Houdini, please sign up. Recommends it for: those interested in biography or magic. Houdini was a fascinating person in many ways. Parallels have been drawn between Houdini and fictional heroes, notably Bruce Wayne / Batman. At first this seems like an inappropriate comparison because Houdini was a showman to the core—not one to hide his light under a bushel. However, what such comparisons get to is that Houdini was preternaturally fit for his time and his approach to illusions relied not only on his smarts but on his conditioning. He developed some tricks that other magicians couldn’t repeat even if they knew the trick in great detail. The average man just wasn’t physically capable of pulling them off. Today there are artists such as David Blaine who follow in Houdini’s footsteps, but Houdini blazed a trail in this regard. The book has quite a few graphics, notably photos and old posters. There is also a brief chronology and a biography at the book’s end. I enjoyed this book. While it’s concise, it’s not colorless. It reads well. If you are looking to get a quick look at the life of this fascinating person, check it out.